The horror of all of those innocent, little children who were gun down by a crazed gunman who later committed suicide has shocked the entire nation. What is the best response to this? There is a volatile debate going on. Do you pass new laws which restrict the right to bear arms? 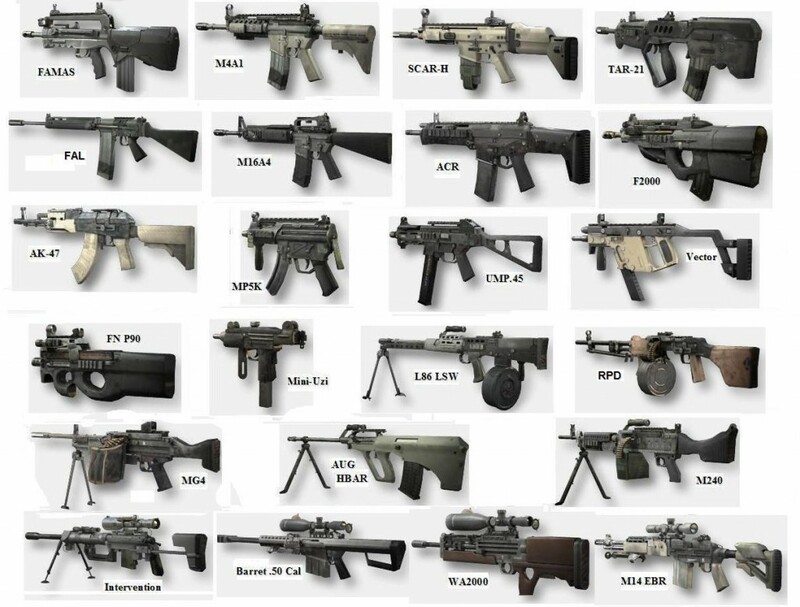 Which weapons do you ban? It has been said that hand-guns are not for hunting animals, but for shooting people. 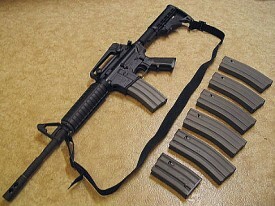 It has been said that automatic and semi-automatic assault weapons are for fighting war and killing many people at once. It has been said that the “banana” clip and large magazines allow you to carry more than 10 shots with each reload, maybe 20 or 30 shots and should be banned from civilian use. 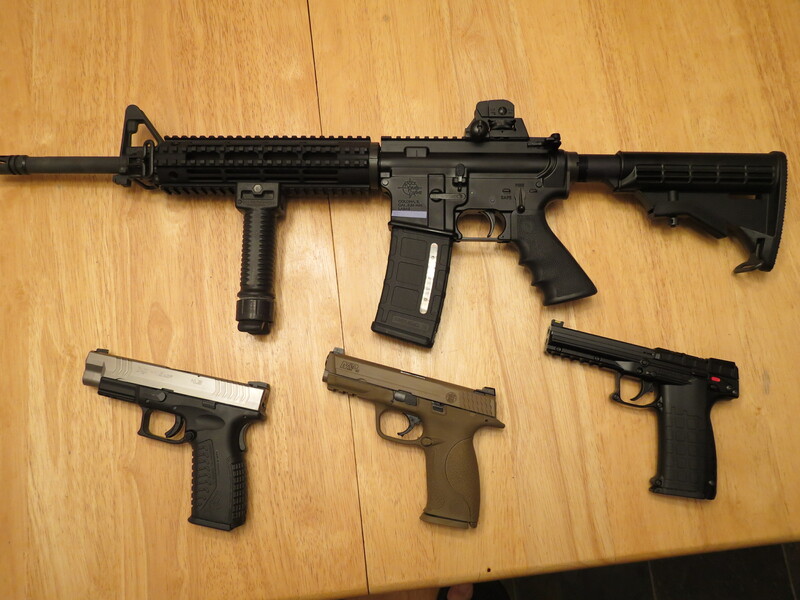 What types of guns should civilians be allowed to own? What kind of licensing, regulation, and constraints should be imposed? 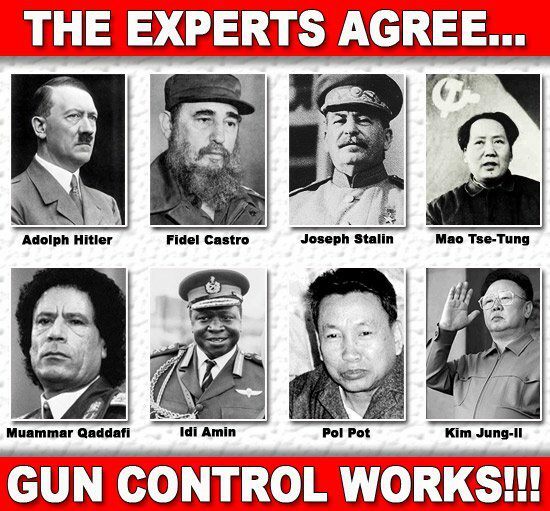 The “right to bear arms” was installed as the 2nd amendment (behind religious freedom which is the 1st amendment) to prevent the “people” of being subjugated to autocratic rule by a governmental army. The ability of the people to assemble a militia for the preservation of human rights, is a bulwark of our democratic society. I watched the Mike Morse film, “Bowling For Columbine” several years ago. What shocked me was the segment where he is interviewing people in Windsor, Ontario, Canada, and people living in Detroit, Michigan, U.S.A. These two cities are just across a river from eachother, but are as different as night and day. In Detroit, the murder rate is sky-high (354 as of November, 2012 for the year). In Windsor, Canada there hasn’t been a murder in two years. Both societies own guns. Why is there such a difference? A friend of mine told me that the gun regulations in Canada are very, very strict. He went through a list of steps that a person needs to go through to acquire a “restricted” firearm. There are different arguments I have heard over the past weeks. One argument is the “guns don’t kill people, people do.” The other argument is “if you outlaw guns, they’ll kill people with knives, clubs, bombs.” The other argument is that there is not enough control, as people can reportedly just walk into a “gun show” and walk away without a wait, or screening with guns. A possible solution I see, is if we treat gun purchases just like we treat purchasing an automobile, or motorcycle, or truck. If you want to purchase these major purchases, you first have to earn a license. There is a written test, and a driving test. You have to study, to pass the test, and you need to practice to pass the driving test. After you earn your license, which varies with the type of vehicle, (there are different classifications of vehicles) you then need to register your vehicle with the state. Your photograph is taken, and a complete record, and paper trail is set-up with the State, and law enforcement has immediate computer access to this information. Your license number can be pulled up. You must also take out insurance policies. It is a law that you have proof of insurance if you are out using your vehicle. The insurance covers liability for any damage you may cause with your vehicle. If you have a record of recklessness with your vehicle it becomes more expensive to obtain insurance, and you can even be denied insurance. The more vehicles you own, the more insurance you need to obtain. The way it is structured, to own and operate a vehicle imposes much responsibility. Perhaps if the same structures were applied to gun ownership, there will be more “self-control” as gun owners will be faced with greater responsibility. Often you will hear of people killing people using stolen, or borrowed weapons. The guns were not securely stored under lock-and-key. In Canada, you must renew your gun license every 5 years, having to take written and practice tests each time. You will never be able to prevent a mentally-troubled person from getting access to a weapon, but you could set up structures of making it very difficult. Making something difficult to obtain, is not denying the right to bear arms; but makes it a challenge equal to the high level of consequences that owning weapons can allow. Ultimately, I believe the most effective way to prevent violence would be to transform and redesign the kind of society that is a breeding ground for socially-challenged people. It is fear that breeds violence. Ontop of that fear, grows anger. Violence is triggered by anger, and the anger is seeded by fear. We are born into the world, innocent, free, unemcumbered. There is that first day for each of us (I assert) when suddenly we experienced that life wasn’t safe. Unless we were able to deal with our fear, in a way that bridged the gap between us and others, all we could do is isolate ourselves. Isolation from people does not allow for the development of social tools and skills. These young “men” who seem to populate the lists of murderers are usually profiled as loners, outcasts, anti-social, and very, very frustrated. They were hopeless, directionless, and lost. The fact that many of them commit suicide at the end of their rampage points to how there was no hope, no future, no reason to live for. If we can create a society where there is a place for each and every, where people look-out for, care for, and stand for the individuals, then there is the opportunity to eliminate the breeding ground for the kind of people who “explode” in anger, and violence. Licensing people to own guns is what the gun control population wants. That way they can compile your name in a database which they will use to confiscate your weapons at their leisure. The problem isn’t with guns or accessability of them. It’s with society as a whole and how they instill into individuals that we are nothing more than a product of evolution. You believe you come from animals and have no morals…you act like an animal. In nature animals kill other animals for survival. Stop teaching this nonsense and instill biblical principals and you will see a lessening of the atrocities committed by people against others. To James: I take it that you are not commending the likes of David Koresh or Jim Jones, two deeply religious leaders who bared arms and were willing to die for their beliefs along with their followerers. Please give examples. Your comment about gun records reminds me of a scene from the movie, RED DAWN. “So what” they know you possess guns? In 1775 when the English tried to confiscate the weapons from the colonists they formed militias and then later the Continental Army. They then stormed Fort Ticonderoga and seized the heavy cannon they used to ultimately win the Revolutionary War. Having legally registered weapon bearers is a deterent for illegal weapons, and can also be used to organize for the common defense also. Also, as far as I can see, animals do not kill based on emotions like human beings do. Animals kill for food, and defense only. Unlike Cain, who killed his brother Abel due to envy and jealousy. Ironically, Cain was jealous that it seemed God and Adam loved Abel more. Given the commandment, “thou shalt not kill;” why do we need semi-automatic assault weapons then? Or 30-bullet banana clips? One of my cousins tweeted me asking which side of the fence I was on with gun control. My above blog was weighing both sides of the question. I was at that time sitting on the fence. Since that date, I have fallen on the side of “gun control.” Our 2nd amendment rights were drawn up at a time when to bare arms was to have muskets and cannons. Nowadays with assault rifles, automatic weapons, dirty bombs, and nuclear warheads, and drones the question is should any citizen have the right to bear “weapons of mass destruction” or terrorism? I say not. Hunting rifles and hand pistols is one thing, but the moment a “banana clip” which can carry 30+ rounds is involved, I believe it extends beyond the right originally outlined in the constitution of the United States. 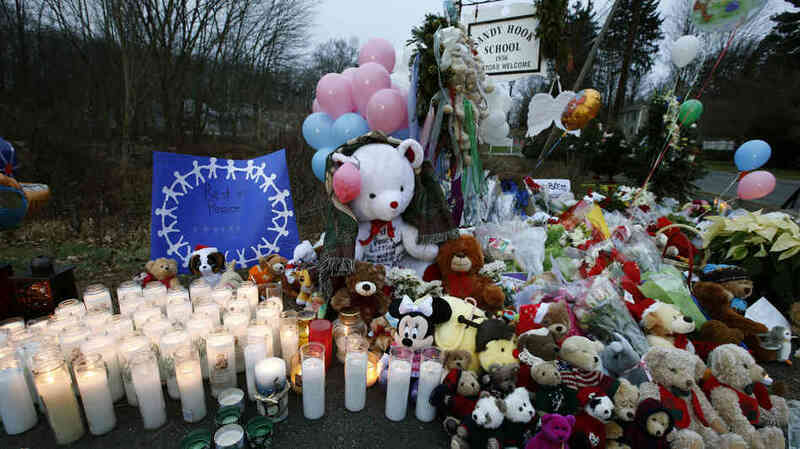 The frequency of mass shootings since the Sandy Hook tragedy has changed how I think. A lot has changed in the past 3 years.